It is with great honor that Mr. Gilbert Lalonde, and his wife Nicole, have received this distinction from the hands of the Mayor of the town of Delson, Christian Ouellet, for their immense contribution to the development of the industrial park. 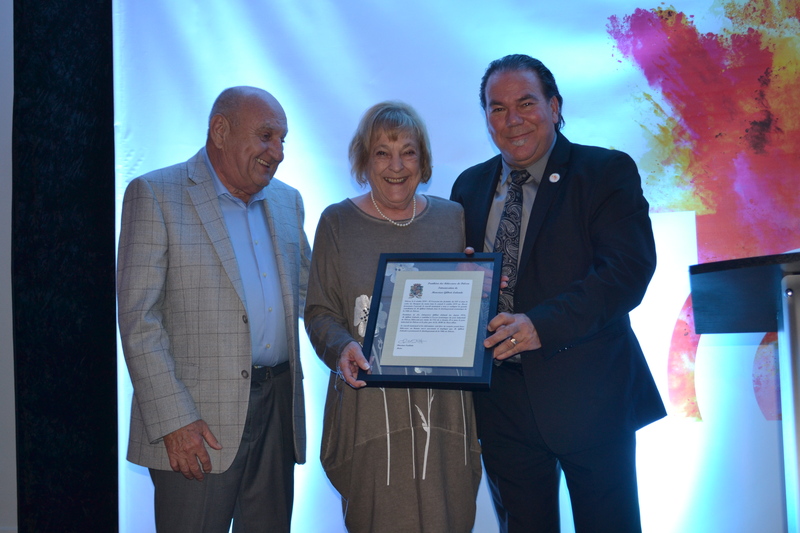 Indeed, it is during the Mayor’s Banquet held October 6, that Mr. Lalonde was inducted to the Hall of Fame of builders for its active participation in the economic development of the city. With over thirty years of activities of development and collaboration with the contractors premises, Mr. and Ms. Lalonde were able to radiate Delson far beyond the limits of the municipality. We are confident that they can still continue their involvement for many years within their various companies. Congratulations!